Does your source check out? If so, great! If not, you might want to look for sources that are better suited to the assignment. 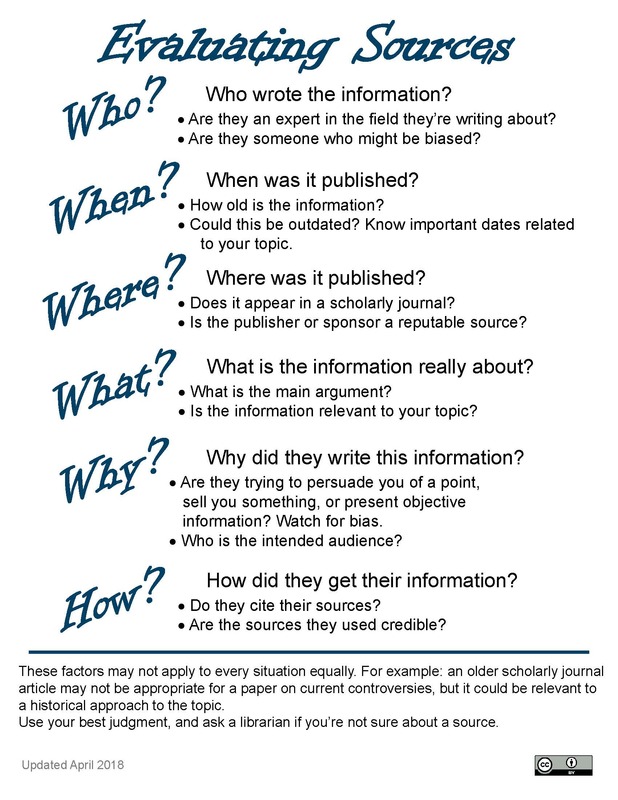 Once you've evaluated your sources it's time to start working on your assignment, and then you can move on to the Final Step: Cite Your Sources.